It’s way too hot to cook, and I’ve definitely been all about the minimal-time, minimal-effort dinners at the moment. 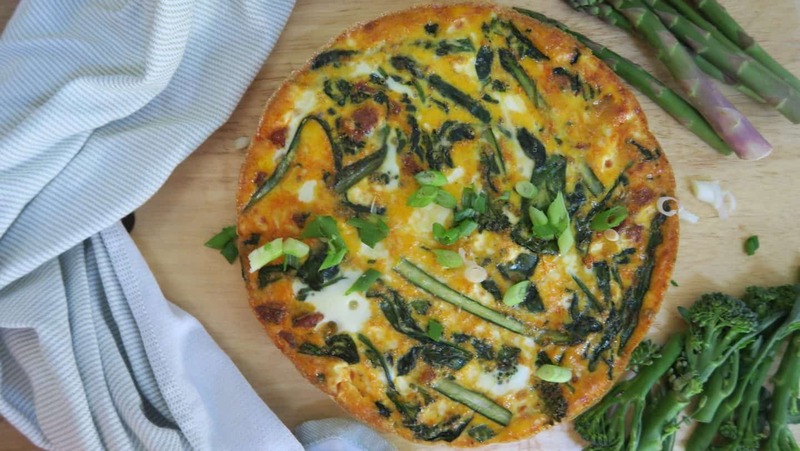 Which is why this gluten free frittata with asparagus, goats’ cheese and chorizo is perfect! This is a delicious summer meal which can be prepared in a short amount of time, and eaten hot or cold. In fact, this would be great made the night before and then packed in a gluten free picnic with some other goodies like my gluten free scotch eggs! I think chorizo and goat’s cheese is an amazing combination, and one which definitely shouts ‘summer’. With the tenderstem and asparagus you’ll also make sure you’re getting a good dose of greens, and this is even better when served up with a salad too. 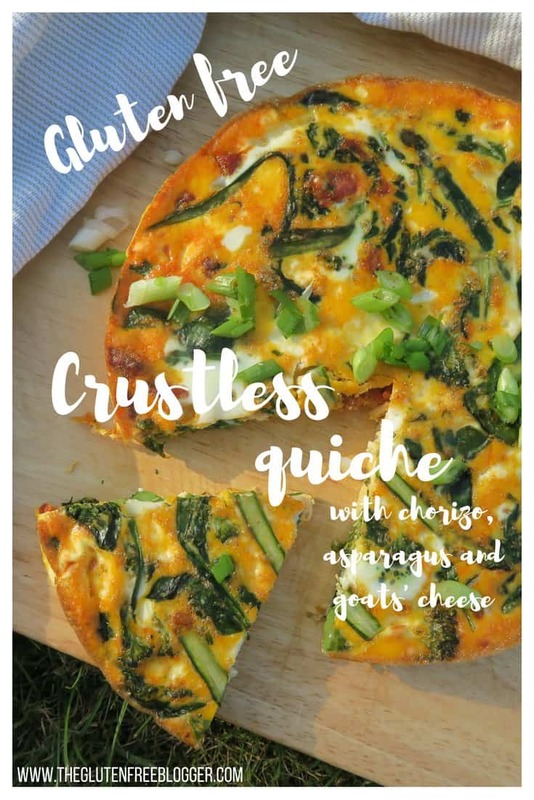 This gluten free crustless quiche recipe is so versatile as well – you could easily change up the ingredients and make whatever flavour combinations you like! I also like it because it’s a great one if you’re after a low carb and high protein meal. And it tastes so good! To make this recipe I find it best to use a silicone cake tin – as this way you can just pop the quiche out once it’s cooked. However, if you’re using a metal or ceramic tin I’d recommend greasing it with a little oil or butter first so you don’t get the quiche stuck! 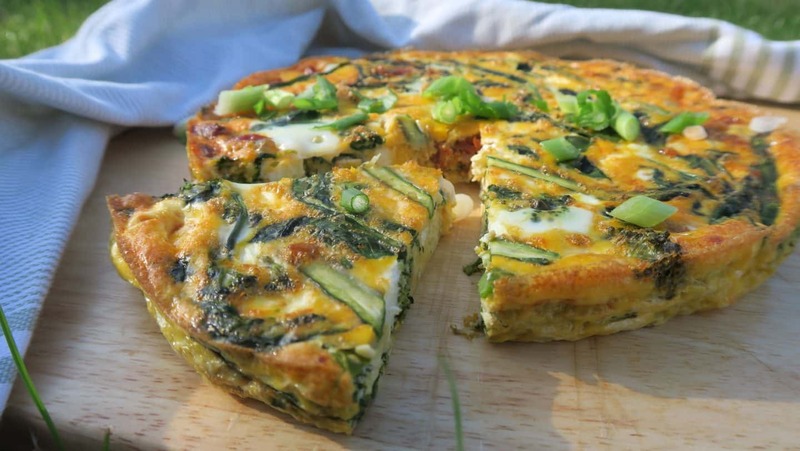 This is a simple summer recipe for a gluten free frittata. 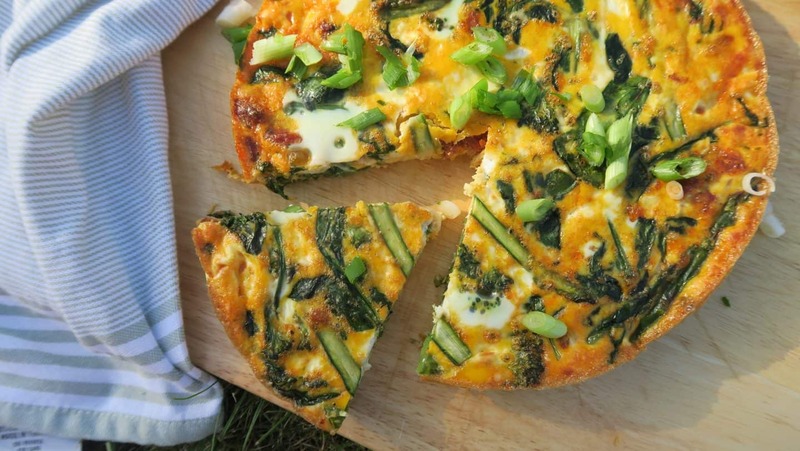 Low carb, high protein and so delicious - it's so easy to make on a hot day! Preheat the oven to 180'C. Meanwhile, add the chorizo and olive oil to a frying pan and fry on a high heat for 2-3 minutes, until the chorizo starts to crisp up a little. Slice the tenderstem and asparagus lengthways and add to the pan with the chorizo. Fry for an extra minute then remove from the heat. Add the eggs to a large measuring jug and mix well. Add the chorizo, asparagus and tenderstem, along with the spinach and goats' cheese. Mix well. Pour into a round silicone cake tin (or greased metal/ceramic tin) and make sure the filling is evenly distributed. Bake in the centre of the oven for around 15 minutes until the centre is cooked through. Remove from the oven and either eat or cool completely and refrigerate ready to eat cold. Will keep for a couple of days in the fridge. Need some more summer meal ideas? If you do make this recipe please let me know! 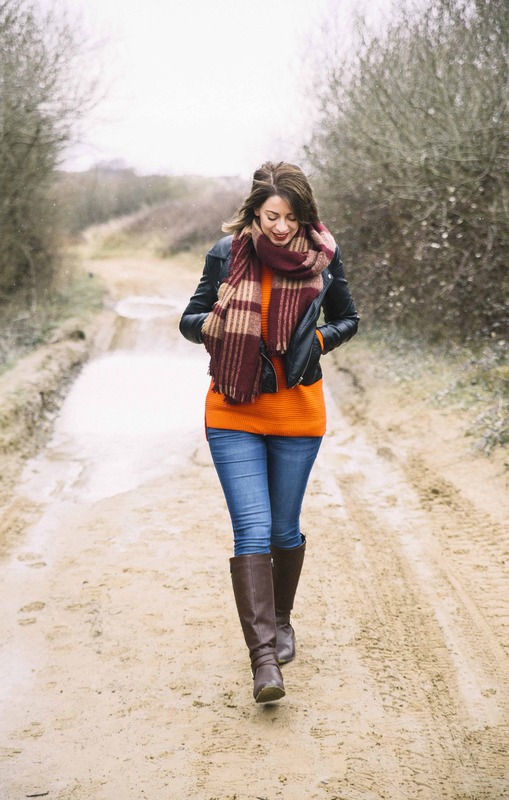 I’d love to see your photos using #theglutenfreeblogger, share them in my Facebook group or tag me on Instagram. 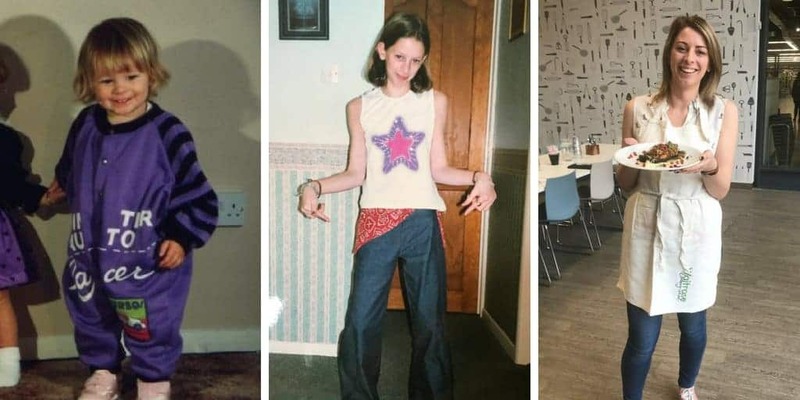 And if you have any recipe suggestions, please let me know in the comments what you’d like to see next! shouldn’t there be milk in this? it seems to have cooked slower and i’m concerned that the texture will not be right. any tips?